Leaving It All On The Field: Fox News and "The Doctors"
Fox News and "The Doctors"
I just checked and my last post was in late October. Seriously? What kind of blogger am I? Not a good one if I can only manage to post every three months. It certainly isn't for a lack of things to report, it is simply a shortage of time. We have spent a very busy year saying yes to quite a bit. That, in addition to running the lives of four busy kids, topped off by the value I am attempting to place on sleep...well it leaves little time for updates. Bailey and I had an extremely fun two days in L.A. shooting "The Doctors." I would have loved to see them focus more on the difficult part of her journey and on childhood cancer, and I actually suggested an entire childhood cancer awareness show in the month of September. But sadness doesn't drive ratings, and as we are learning, these producers all have a very specific agenda on which they are laser focused. As I watched them retell Bailey's story, it all seemed very simple and neatly wrapped up, with only a brief mention of the horror and long-term challenges of childhood cancer. But they were aiming for a feel-good, success story and so that is what they made it to be. If we set our discouragement aside, everyone on the production team at "The Doctors" was amazing and very kind to us. Even though we would have told the story a bit differently, a special thank you to Ashley and Chris for a once-in-a-lifetime experience. We are learning to appreciate each of these events for what they are, and now millions more people know what a rotationplasty is, and so that is a small step in the right direction. The links are below if you missed the show. They broke it up into three videos for the website, so you have to watch them consecutively to see the entire segment. 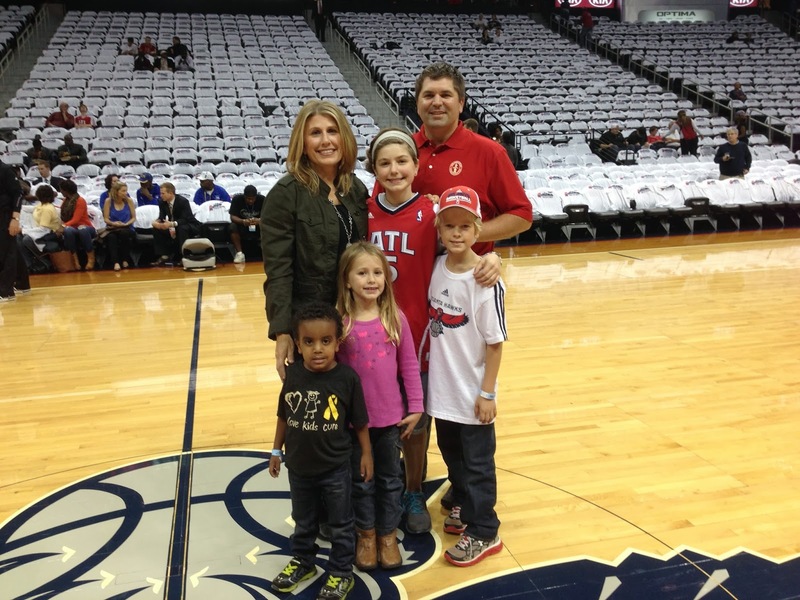 At the end you will see they gave Bailey a great gift...so an additional thanks to the Atlanta Hawks for a fun night at the season opener. 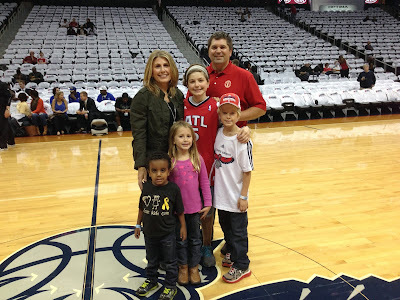 Atlanta Hawks season opener, courtesy of "The Doctors"